Buckman Hardy Associates was formed by Alan Buckman and William Hardy in 1986. Over the past 30 years, the business has grown steadily, including a move to larger premises and the recruitment of additional staff to bring new expertise to the company, enabling a comprehensive and modern design and engineering service. Alan has always been interested in the Physical sciences, with computing skills gained at Dover Grammar School and a Physics degree with honours from the University of Bath. 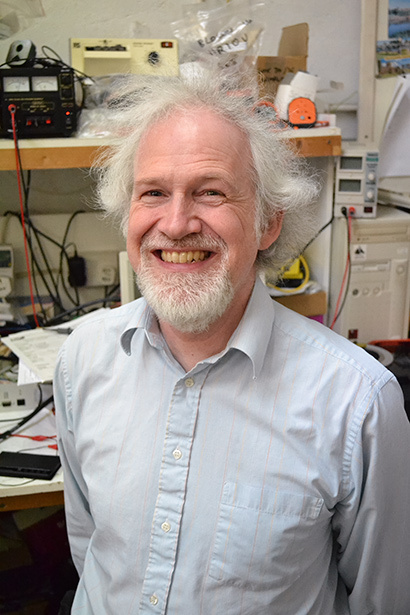 Development of Alan’s electronics background came with a career at AVO exploring microprocessors and embedding them within instrumentation products. Alan was involved with the use of computers to help fault-find boards leading to the introduction of automatic test equipment for board level tests. After the formation of Buckman Hardy, Alan designed a range of electrochemistry measurement products and has continued to design in small processors into a wide range of test equipment. Astronomy has featured in many of Alan’s activities under the brand name AWR Technology and we now have 32 bit processor technology in a world leading intelligent drive system for telescopes which has been installed on many hundreds of telescopes round the world. Alan is good at tracking down obscure bugs and has analysed and corrected customer source code in a wide variety of processors and languages, including assembler. William specialises in analogue design and has a particular skill designing measuring instruments. 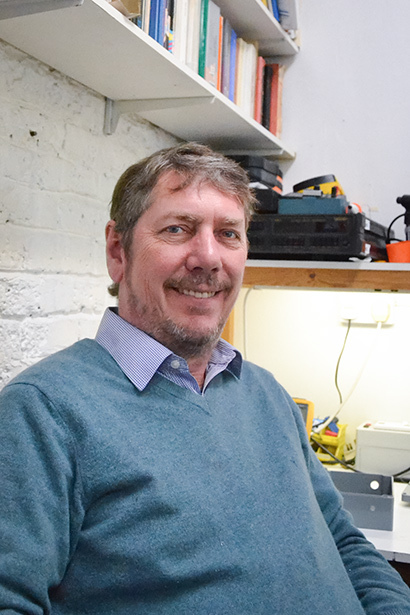 Over the years William has designed a wide variety of products including: an engine casting control system for Rover cars, TV detectors for the BBC, electrician’s multi function testers, production test equipment and an instrument to test defibrillators. William’s analogue design knowledge includes an extensive understanding of the numerous compliance standards, including BS EN 61010 (safety), EMC directives and performance standards like BS EN 61557. Before forming Buckman Hardy, Will was a Principal Engineer at AVO with responsibility for a team designing electricians test equipment. Will graduated from the University of London with an honours degree in Electronic Engineering, and is the named inventor on 4 patents.